Leaders in the community work to stop the deportations. 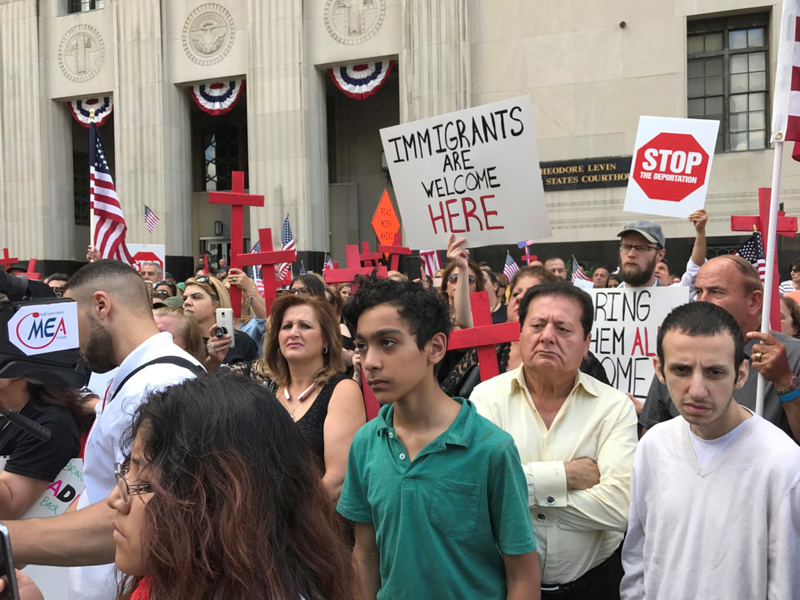 In response to the Sunday, June 11 raids by U.S. Immigration and Customs Enforcement (ICE), Iraqi leaders, activists, and organizations quickly went to work to fight the mass deportations of Iraqi nationals, mostly Christians. However, the work actually started months prior to the raids. The Chaldean Community Foundation (CCF) had been reaching out to congressional leaders and others to address the potential risk. According to a message by Bishop Francis posted on Facebook, Martin Manna of the Chaldean Community Foundation had been working with a law firm comprised of former senators and federal agents prior to the sweep of Iraqi nationals. In addition, several lawyers and firms offered pro bono work. These included Ira Jaffe and the Law Firm of Jaffe Raitt Heuer and Weiss, Geoffrey Fieger and the Fieger Law Firm as well as Carl Levin and the Honigman Miller Law Firm. On Monday on June 12 at noon, protesters gathered at Mother of God Church in Southfield and afterward moved their protest to Sterling Heights on Ryan Road and 15 Mile area. They later walked to the front of the Chaldean Community Foundation (CCF) where Father Boji and Martin Manna came out to answer their questions. “The Church is very aware of what’s going on and is using all its efforts to help,” said Father Boji, adding what they’ve been doing long before the raids began. Several weeks prior, for instance, the Patriarchs of different Iraqi Christian sects had a meeting with Vice President Pence where they discussed these and other issues affecting the Christians in the Middle East. Manna stressed the importance of detainees hiring individual attorneys, and asked that those who can’t afford an attorney, to contact the foundation. An hour later, Kalasho posted a community call to action, asking immigration attorneys, volunteers, and families of those that have been detained to come to KEYS Grace Academy in Madison Heights at 9:45 pm. This initiated an around-the-clock effort led by CODE Legal Aid, a non-profit organization that’s dedicated to providing legal advocacy and assistance to those in need. The next day, Tuesday, June 13, the Chaldean Community Foundation hosted a meeting with retired Senator Carl Levin, the John Ashcroft Law Firm, American Civil Liberties Union (ACLU), International Refugee Assistance Project (IRAP), CODE Legal Aid, KEYS Grace Academy and several immigration attorneys and community leaders to discuss efforts to stop deportations. 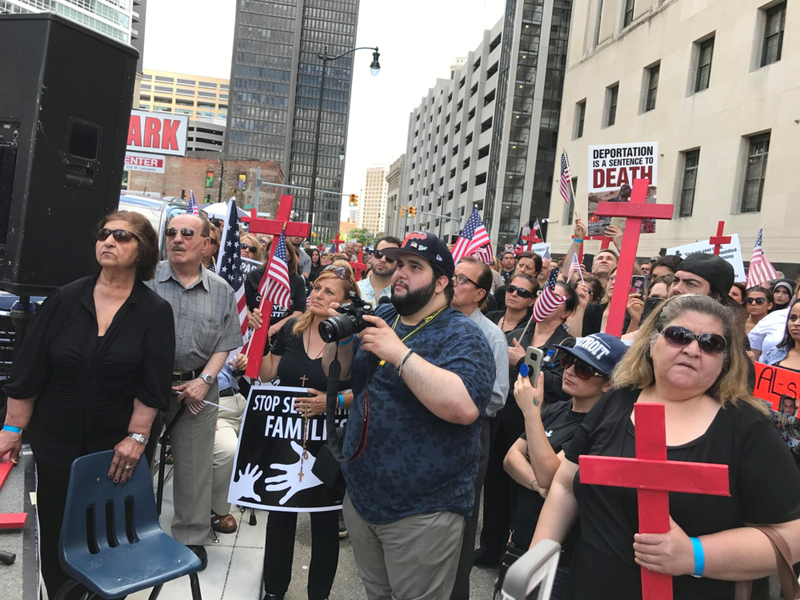 The Chaldean clergy throughout the Metro Detroit and Chicago area invited everyone to join them in prayers and Holy Hour for the people who were detained. Prayers were also offered for their families and loved ones who are suffering during this difficult time. Masses & Holy Hours were all held Thursday, June 15, which was the Feast of Corpus Christi (Body of Christ) Day. Meanwhile, Nathan’s younger sister, Nadine Kalasho, president of CODE Legal Aid, and her partner in the business Nora Youkhana, along with help from countless volunteers and numerous attorneys, particularly Wisam Naoum and Edward Bajoka, kept the doors to KEYS Grace Academy opened to ensure that every detainee had proper representation. 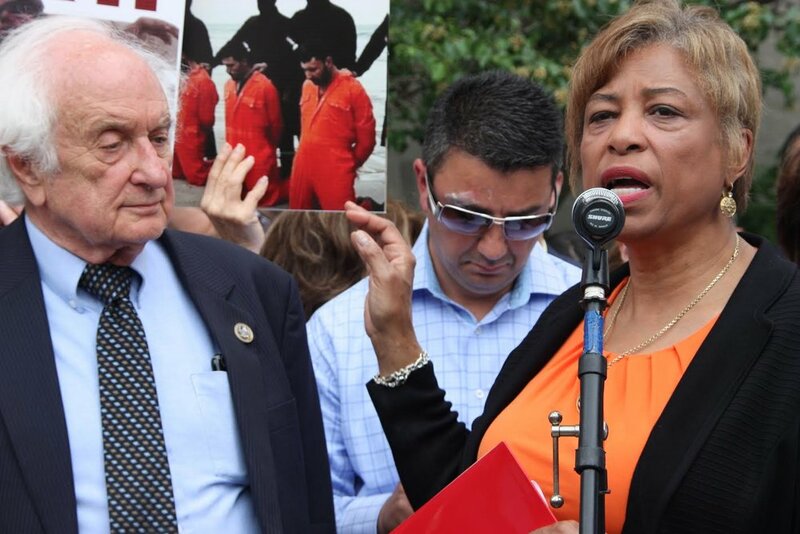 Within 48 hours, Congressman Sander Levin with support from Congresswoman Brenda Lawrence led the efforts to get the entire Michigan delegation to sign a letter requesting the deportations to stop and sent that letter to Homeland Security Secretary John Kelly. Major media outlets such as Newsweek, CNN, Huffington Post, Fox News, and Politico brought nationwide and international attention to this issue by covering the story. In additional another was initiative Congressman David Trott. These were merely two of several letters that were signed by members of congress. On Thursday June 15, the ACLU of Michigan with support of CODE Legal Aid. 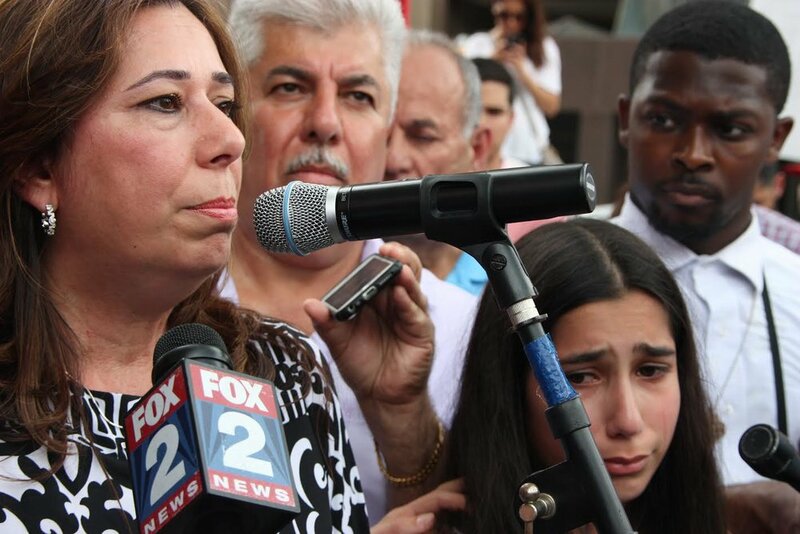 filed a class-action lawsuit seeking to halt the deportation of the 114 Iraqi nationals who were taken into custody. In the complaint, they argued that it is illegal to deport the detainees without giving them an opportunity to prove they could face torture or death if returned to Iraq. Alongside the ACLU and CODE Legal Aid was the Chaldean Community Foundation, who retained former Senator Carl Levin, now with Honigman Law Firm to file an Amicus Brief on behalf of the Foundation and members of the community who have been detained. 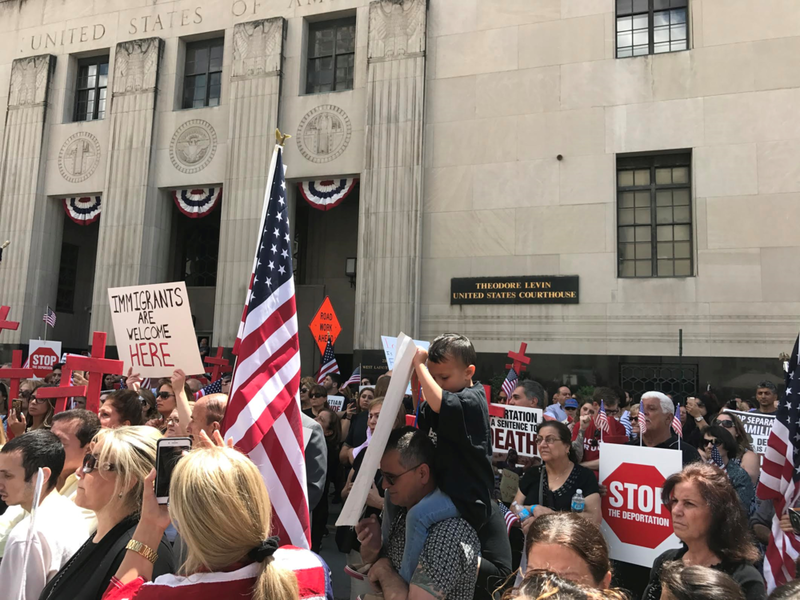 On that Wednesday, June 21, an organized rally was held before the hearing in front of the U.S. District Federal Court Building. KEYS Grace Academy provided bus transportation for hundreds of people who met up at Madison High School. There were a number of speaker’s present, including many children of those detained. The rally started at 12 p.m., lasted for a few hours, and then people began lining up to enter the federal building. Due to limitations with seating, only one family member of each person detained was allowed to enter the courthouse. Judge Mark A. Goldsmith issued a stay on the deportation of Chaldean and Iraq immigrants arrested by ICE agents for 14 days. The order came down Thursday June 22 in the evening just after 7 p.m.
On Monday June 26, Judge Goldsmith held an emergency hearing to expand the extension for those detained to include others around country. Ashourina Slewo contributed to this story. This story was updated as of print date on June 26. For further information, please visit the Chaldean News Facebook page and follow us on Twitter and Instagram.